← WATCHES BY KATE SPADE. [Top row] Some sweet treats, relazing in the sun with Harper’s, Essie’s Mint Candy Apple. [Middle row] My work attire, posing with a statue, my braids from Majorca. [Bottom row] My spinal x-ray from Thursday, the streets of Cambridge, my new glasses. 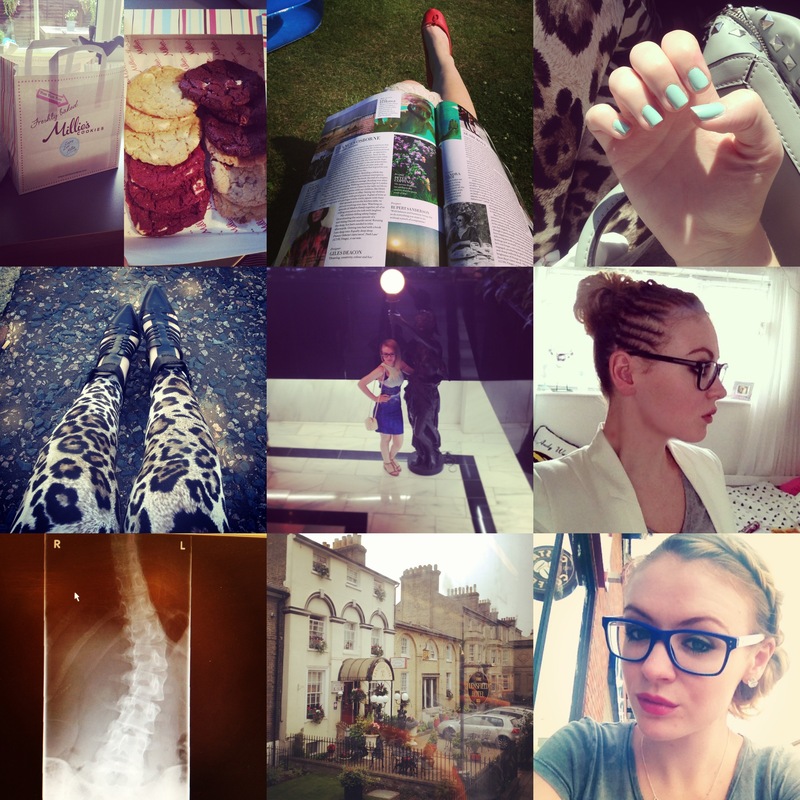 This entry was tagged 36 degree, amateur, app, apple, baking, bazaar, beyonce, blazer, blog, Blogger, braids, Britain, bus, cambridge, candy, collection, cookies, curve, delicious, dress, electric, England, essie, fashion, food, glasses blue, H&M, Hair, harper's, hotel, instagram, instaweek, iphone, lauren, leggings, leopard, magazine, majorca, makeup, millie's, mint, nail polish, New, photography, polo, pose, posing, print, ralph, s, sandals, scoliosis, shoes, spine, statue, street, streets, style, summer, summertime, sun, sweet, work, X-ray, zara. Bookmark the permalink.